At the beginning of this year, Media Monitoring Africa conducted research into the coverage of youth in South African mainstream media. Four online news media were analysed in the research for five months, from the start of February to the end of June. They are: IOL, M&G Online, News 24 and The Citizen. 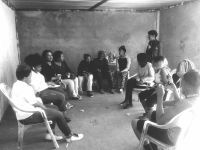 Focus Group Discussions were also held with a group of young people in Vosloorus, Gauteng to compare the research findings with the youth’s own suggested expectations of how media should report on youth and the issues that affect them. 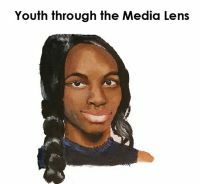 The research suggests distinct discrepancies between youth expectations and the media’s performance. MMA presents preliminary findings on research into Youth! Ever wondered how youth and their issues are covered in local media? MMA together with the Youth News Agency have released some exciting preliminary results. The Youth New Agency welcomed its newest member and recently held a training workshop at Wits University. YNA journalist in reality youth empowerment show! 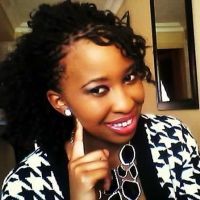 YNA journalist Tshwanelo Fokazi is taking part in SABC 1's youth leadership competition show, One Day Leader. Find out how you can support her. YNA members participate in Frayintermedia debate. On the 27th of May, Frayintermedia hosted a discussion on youth, crime and vioelnce at the Greenwood Manor Boutique Hotel in Johannesburg. YNA journalists Koketso Moeti and Simphiwe Rens who are based in the city, took part in the discussion. Simphiwe Rens writes an acount of what took place. The DG Murray Trust (DGMT) is an independent, South African grant-making foundation committed to developing the potential of people in South Africa. DGMT aims to create an ethical and enabling environment where human needs and aspirations are met; and every person is given the proper opportunity to fulfil his or her potential, for both personal benefit and for that of the wider community. Tweets about "from:MediaMattersZA OR from:MMA_tweeter"